I bought this beautiful Osawa 60-300mm f5.6 macro focusing lens quite some time ago on ebay without knowing what mount it was. It turned out to be a Konica KO mount and unfortunately for me there was no Konica to 4/3 adapter that I could get so I could use it with my Olympus E-620 so I just stashed it away and thought, oh well. But all is not lost because there is a Konica to Micro 4/3 adapter and now that I own a PEN E-P3, I dug out the lens again and have just ordered the adapter from Amazon. Now I can't wait to try the lens out! Early morning crop dusting on a farm field along California Highway 99. Picture shot through a rather dirty car window. Grey morning sky on California State Route 43 on our way to the tiny farming town of Alpaugh. Veterans Day celebration at a town hall in Alpaugh. Drummers at a Cultural Faire at Shin Zen Japanese Garden in Fresno. 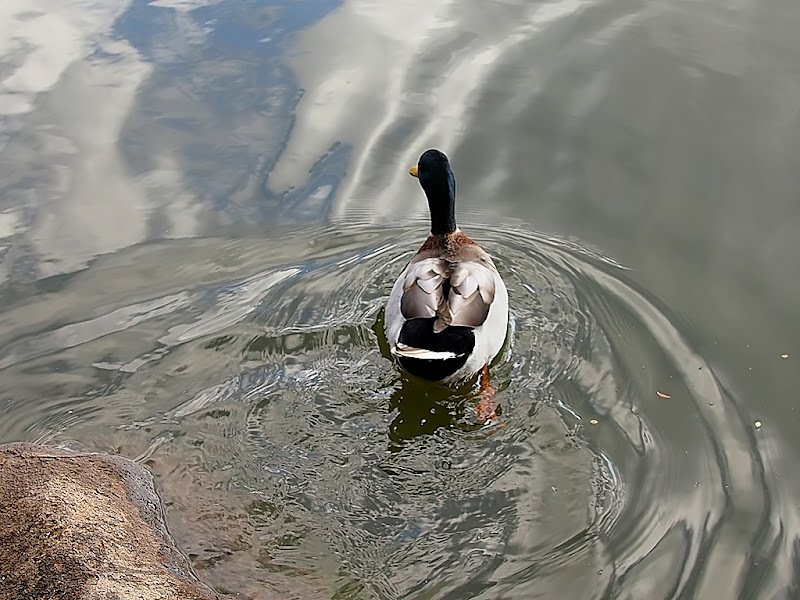 Ripples caused by a duck swimming away from me. Freight train along California Highway 99. Autumn colors reflected on a window of a limousine at Woodward Park, Fresno. The canopied street that I live on - haze in the distance and bright morning sunshine.